We love Thanksgiving mostly because we love food. We’ll probably spend most of the long weekend eating and then regretting how much we ate, followed by a lot of laying on the couch watching Netflix, and then repeating that exact cycle multiple other times. In the spirit of Thanksgiving, we’ve come up with a list of recipes inspired by some of your favourite artists that are perfect for the festive weekend. First up we have Ashton from 5 Seconds of Summer, who told Capital FM that he loves spaghetti. Now we know that actually making fresh pasta is both messy and labour-intensive, so instead we’re giving you a recipe for this delicious tomato sauce – which you can put on your store-bought spaghetti, or a bunch of other things. Like mozzarella sticks. Mmmmm… fried cheese. This is such an easy and quick recipe, just make sure you’re using San Marzano tomatoes! Step 2: Invite Ashton for dinner. That’ll be easy, right. HA. Next we have Halsey, who LOVES Cookies ‘N’ Cream Dippin’ Dots. Very passionately. We can’t actually make Dippin’ Dots but we do have a recipe for no-churn Cookies ‘N’ Cream ice cream that you can make at home with literally 4 ingredients. Heavy cream, sweetened condensed milk, vanilla extract, and cookies. Sorry, we just drooled. Put a scoop on top of a warm brownie and enjoy the perfect post-turkey pudding. 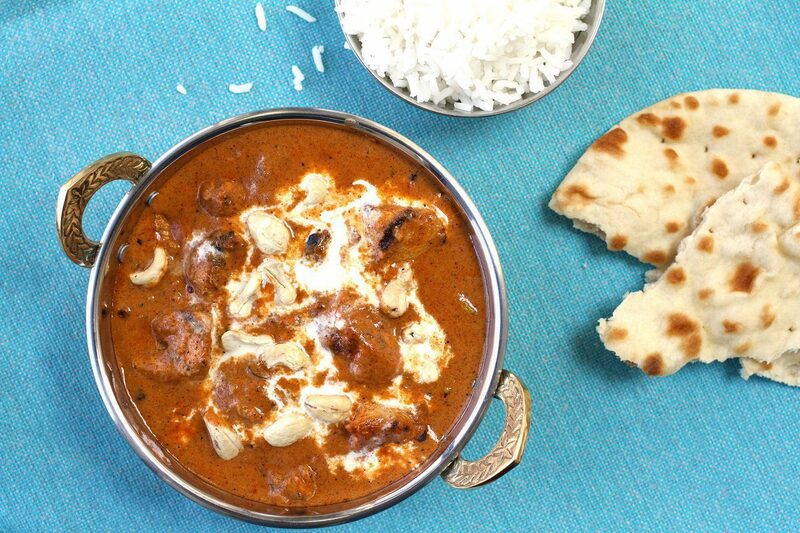 But we’ve found a recipe for this Butter Chicken from Manchester, UK that Drake is OBSESSED with. This saucy, warm, hearty meal pairs amazingly with some garlic naan and a samosa or two. We may not be able to hop a plane to get a plate of Drizzy’s favourite Indian dish, but now we know how to make it at home. This one probably needs a little bit of experience in the kitchen to get right, but if Drake says it’s good, it’ll definitely be worth the work. We also love tacos. Max has great taste, obviously. This recipe for Baja Fish Tacos with crunchy slaw is absolutely incredible and is sure to impress your friends. If you’re not a fan of fish, you can always use chicken, skirt steak, or even potatoes! Tacos are versatile and that’s why we love them. We love Migos and “Stir Fry” is a favourite. Of course, stir fry the food is also a favourite. You really can’t go wrong if you mix carbs with soya sauce and some veggies right? Stir fry is one of the quickest, easiest meals to make and when it’s homemade it’s even better than takeout. We have a recipe here for you to make stir fry using leftover turkey from your Thanksgiving feast. This recipe for Chili Pumpkin soup, from Paul’s eldest daughter Mary, is a perfect blend of sweet and heat. It will warm your soul right through until spring. It’s ingredient-intensive but soup is always easier than it seems, and it’s really simple to double the batch and freeze. I love pizza and singing. Pizza might be one of those things that’s easier to buy frozen and throw in the oven, but we honestly promise, this is WAY better. This is a true story. Olive Garden is amazing so we totally understand why Posty would go there all the time. 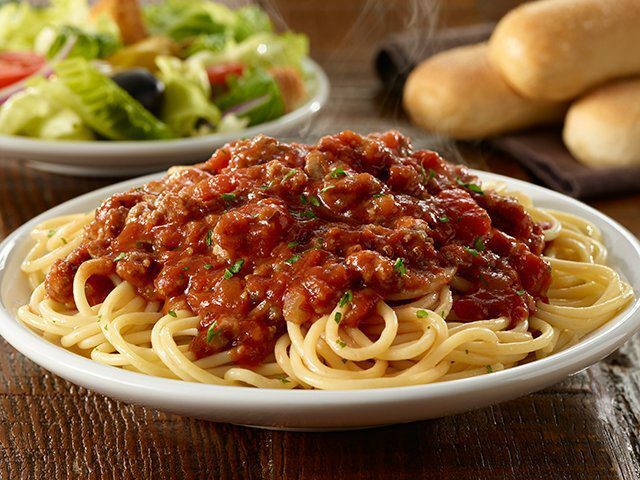 We love everything at Olive Garden, so we’re really very thankful that their website has recipes for many of the dishes on their menu. Try the Cheese Ravioli with Mushroom Ragu or maybe their Pineapple Tiramisu. Tweet us over at @umusic and let us know if you’ve tried to make any of your artists favourite foods and HAPPY THANKSGIVING!